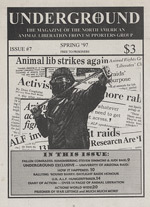 The third year of publication saw Underground expanding its international coverage as illegal direct action for animals took off all over the world. 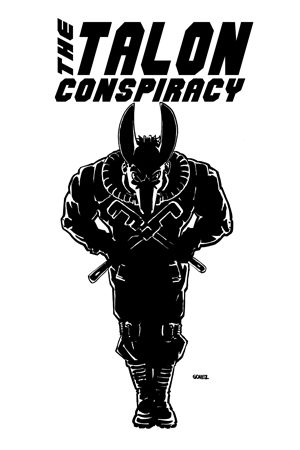 In another interesting development, the Earth Liberation Front began to increase activity in the US, and many early communiques, as well as interviews with British ELF activists, are included in these three issues. 1997 also marked the beginning of a sad trend in the movement that plagues us still: Snitching. 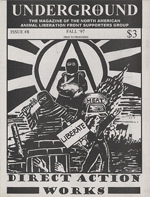 Although there had been occasional instances of animal liberationists informing on each other in the past, arrests (and subsequent grassing) began to multiply as mink farm raids skyrocketed. Many of those arrested became witnesses for the state, thus turning their backs on their fellow ALF volunteers and the animals they had set out to save. Some informants even went so far as to give information about their own family members. While some of our friends proved themselves cowards, others showed their dignity and resolve to the end. Steve Simmons, a former ALF spokesperson, died of AIDS on January 12th. 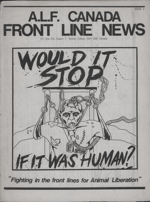 Before his death he had been an outspoken opponent of using non-humans in AIDS and HIV experiments, famously standing up against counter protestors in Washington DC and declaring that his suffering would not be alleviated by enslaving and torturing others. 1997 also saw the passing of Earth First! activist Judi Bari, who died at age 47 of cancer. Bari had been the victim of an FBI frame-up attempt after her car was bombed. Absurdly, she was arrested for possession of the bomb which was planted in an attempt to kill her and fellow environmentalist Daryl Cherney. After her death her family won it’s lawsuit against the FBI and local police. The people who attempted to murder her have still not been found. Finally, this same year saw the end of Barry Horne’s first hungerstrike, an important event in our history that received some coverage in Underground and sparked many liberations in England and elsewhere. Also see Underground 1-3 and Underground 4-6 and Underground 10-13 and Underground 14-15 and the final rare issue, Underground 16. 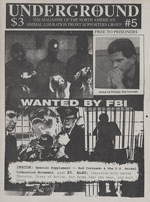 As Underground magazine continued its run into 1996, the movement was once again in a state of internal dispute. The wave of FBI investigations and grand jury harassment earlier in the decade had put Rod Coronado behind bars. Sadly, an embarrassing moment in our history occurred when a small group of activists, including Rod’s long time friend and former housemate Jonathan Paul, called for support to be pulled from Rod. Their reasons were many, but largely centered around Rod’s desire to make the choices that effected his own defense. Jonathan and Rod later patched up their differences, but for many years those two great practitioners of direct action warred back and forth in the pages of this and other publications, which proved a waste of effort, time, and newsprint. Luckily for nonhumans, 1996 was also a year that saw a tremendous upswing in resistance on their behalf. Notably, fur farm raids became common occurrences throughout the world. 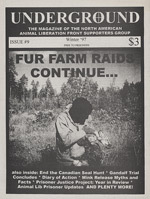 This was the year that saw the release of the infamous first edition of The Final Nail, a publication that gave addresses of fur farms and explained how to raid them. Excerpts appeared in Underground, and subscribers received free copies. 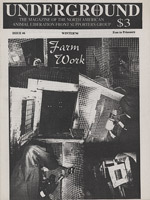 Every issue throughout this period detailed the pressure being exerted on the fur farming industry, and proved that Rod’s imprisonment and the ensuing movement drama didn’t put the struggle for fur bearing animals in an early grave. Underground also contained plenty of letters, news clippings, and short articles. Self criticism, analysis of movement building, targeting, press relations, and other strategic improvements are, sadly, largely absent. 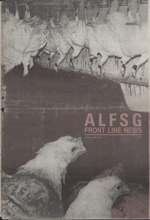 Still, the magazine provides one of the best glimpses into the way the ALF worked in North America in the 90s, which is why we will be posting every issue online, for free, by the middle of this month. 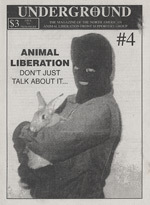 Animal liberation history is for people, not profit! Also see Underground 1-3 and Underground 7-9 and Underground 10-13 and Underground 14-15 and the final rare issue, Underground 16.